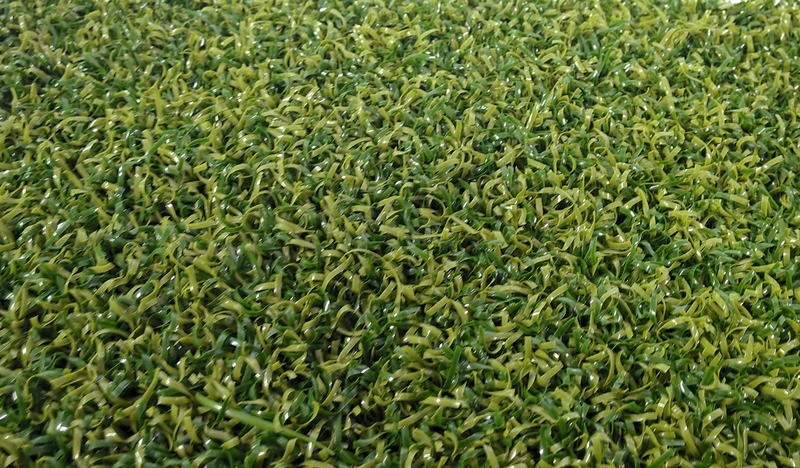 Designed to be hard-wearing and durable, our Golf Tee Turf is low maintenance, non-filled and works with or without standard tees, making it both versatile and easy to install. Regardless of your golf setting, this artificial grass is guaranteed to offer a useful and effective solution to your needs. The teeing areas of any golf course or driving range are easily the most used areas, often leading to faded, worn or dying grass in these locations; this can be avoided by the installation of artificial grass instead. 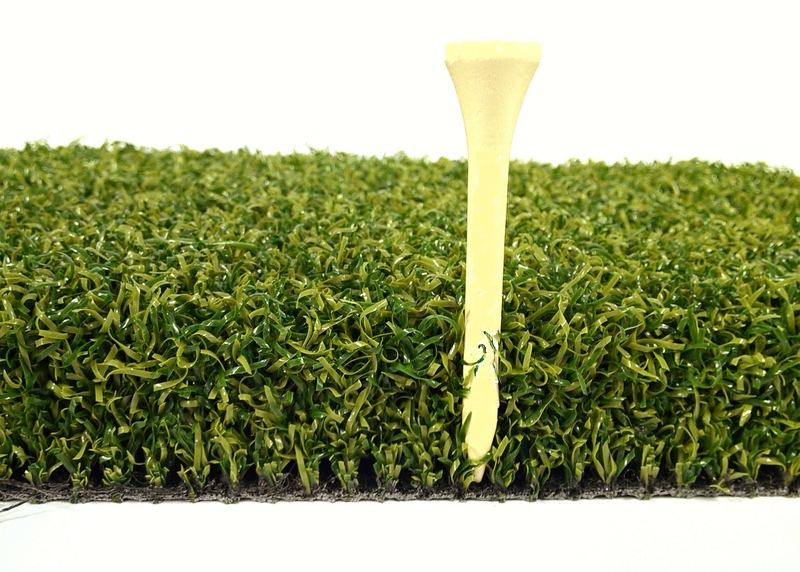 Our golf tee turf is made using two different tones of heavy-duty nylon pile with a height of 25mm, allowing for exceptionally good recovery and durability. Not only is this artificial grass solution able to cope with more activity than natural grass, but its lack of sand or rubber infill makes it extremely low maintenance and suitable for teeing off the surface as well as using standard tees. Designed with resilience and versatility in mind, our Golf Tee Turf is an all-encompassing solution that is perfect in all golfing scenarios. We’re so confident in the quality and durability of our artificial grass that each and every one of our products comes with an eight-year guarantee. In addition, if you receive your artificial grass and find a fault, we will gladly replace the faulty product or refund you - just make sure that you get in touch with us the moment you notice an issue.